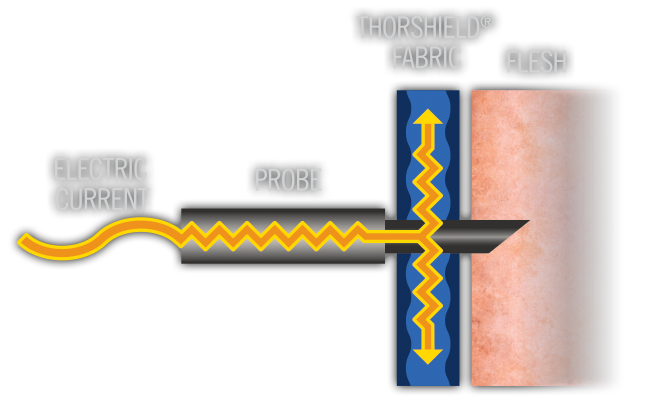 ThorShield is a specially designed protective fabric which is more conductive than the human body. The electrical current of a Electro Shock Weapon/ Electronic Control devices will traverse ThorShield, the path of least electrical resistance, rather than your body. By conducting the current across ThorShield the wearer will not feel the pain or incapacitating effects of the Electro Shock Weapon/ Electronic Control devices.